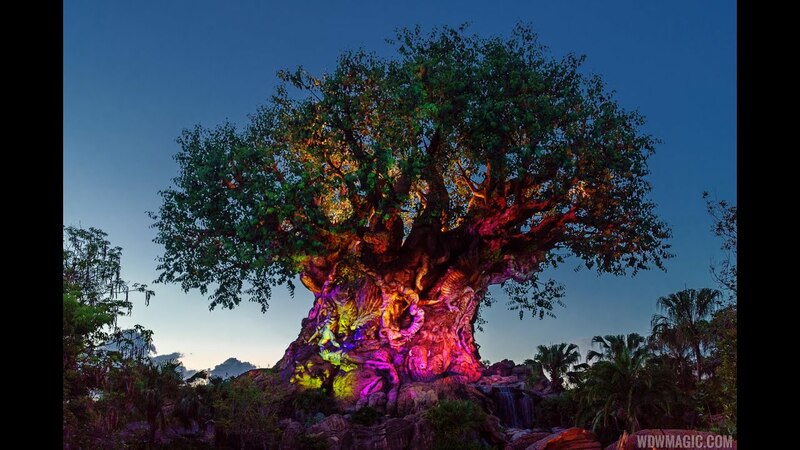 Drones joined the Tree of Life Awakenings last night as part of the Avatar opening events at Disney's Animal Kingdom. 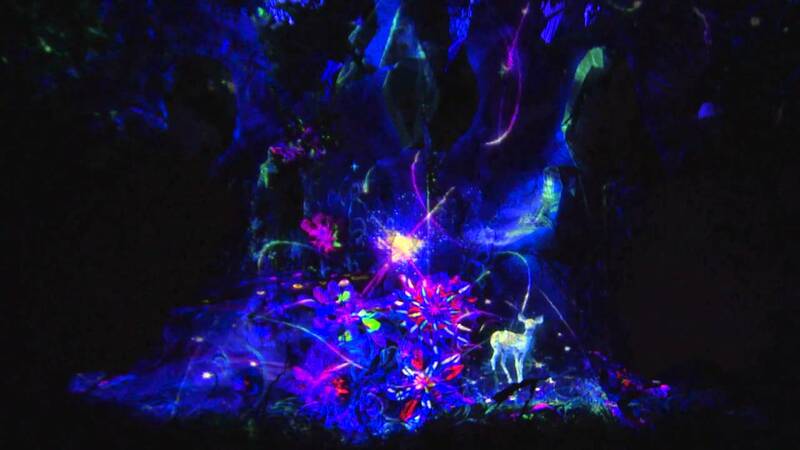 There will soon be more viewing capacity added to the nighttime awakening of the Tree of Life. the tree of life rules! 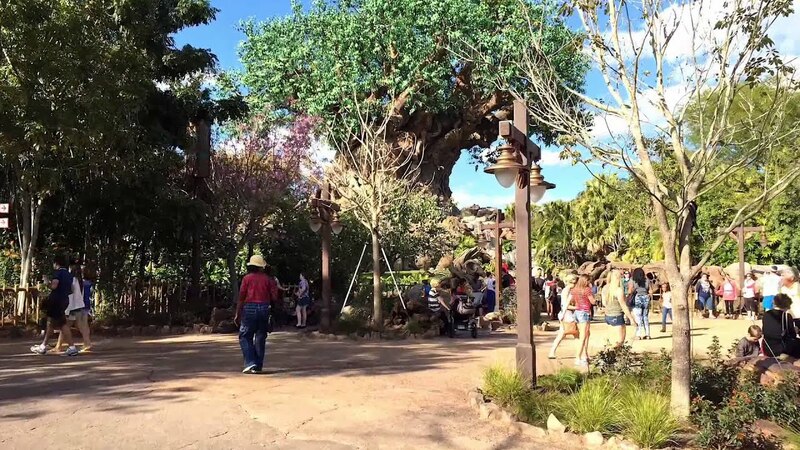 The Tree of Life, the lofty, leafy icon of Disney's Animal Kingdom, tells the awe-inspiring tale of all of Earth's animals and the interconnected nature of every living thing. Inside the tree sits a 430-seat theater featuring a humorous 3-D special effects adventure about some of the planet's lesser-known wild creatures -- insects -- from the bug's point of view. Structure: The steel structure was created using an engineering plan that required consultation from fabricators of oil rigs. The tree's exterior is formed of painted rockwork. 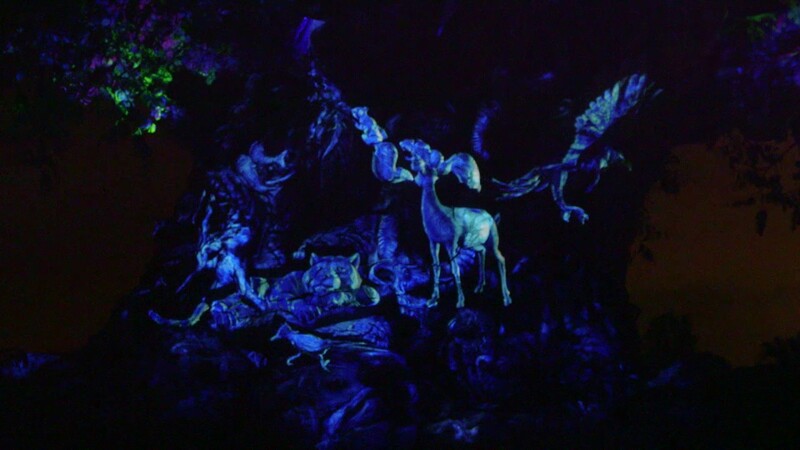 Tree Of Life Theater: Based on an animated film release from Walt Disney Pictures, the show, "It's Tough to be a Bug!" features 3-D film, Audio-Animatronics figures and special effects in an amusing look at a bug's world.